This month Simon Cleaver, CTH Director of Membership, paid an official visit to Thailand on behalf of the Confederation. 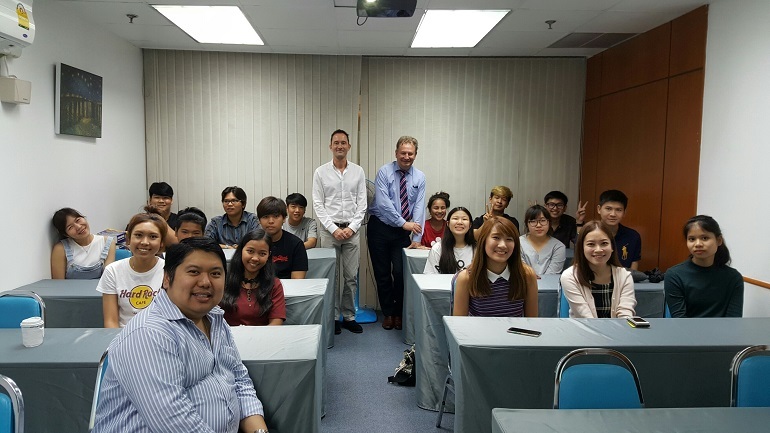 As part of the trip to Thailand he visited CTH Approved Teaching Centre Finn College in Bangkok to meet with the Principal, Dr Prinn, his staff and students. Whilst still small Finn College has achieved some of the best CTH academic results worldwide in 2015/16 in the Level 4 and Level 5 Tourism Management programmes. Their success can be seen in the fact that they have several students now completing final year top-up degrees at the University College Birmingham in the UK. 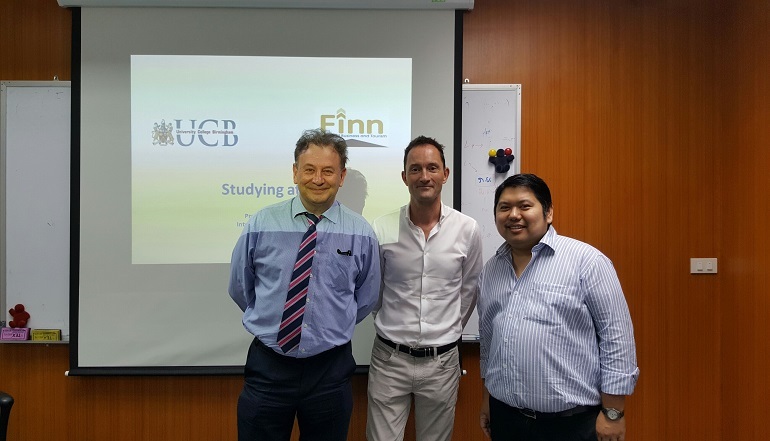 In fact, Simon’s visit coincided with a visit by UCB’s Professor Melvyn Pryer and the pair jointly addressed a group of Finn students, many of whom hope to continue on from their CTH Diploma courses to study at UCB in Birmingham.